The key was handed over at the airport. As we already knew the location of the apartment this was not a problem. 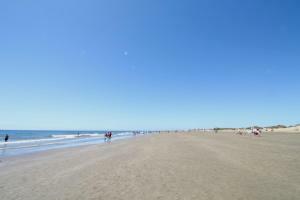 Great location close the dunes, clean and well equipped. 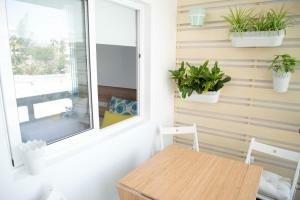 Modern design distinguishes it from other apartments. Private pool was an icing on a cake :) Despite being close to main street it was surprisingly quiet. Bed comfortable. Decor. Access to pool area. Easy local bus options. Close to dunes. LightBooking were very responsive to problems. Wonderful apartment, halfway between Yumbo ant the dunes. All new and sophisticated interior design, every appliances you can think of (washing machine, dishwasher etc.). Second floor with a great view on the beautiful (and quiet) swimming pool. On the side of the building so no street noise at all. Would strongly recommend that apartment to my best friends. Nice apartment in a good location. It was as shown in the pictures. The apartment was very nice, clean and equipped with most of the essential stuff you need in your holiday apartment. Beds were very comfortable. Really liked the modern deco of the apartment specially the "balcony" area with nice view of the swimming pool. The property management company was efficient when replying to my emails before arrival and organizing airport transfer with a key delivery by our taxi driver. Organizzato il ricevimento all'aeroporto con consegna chiavi e trasferimento all'appartamento. 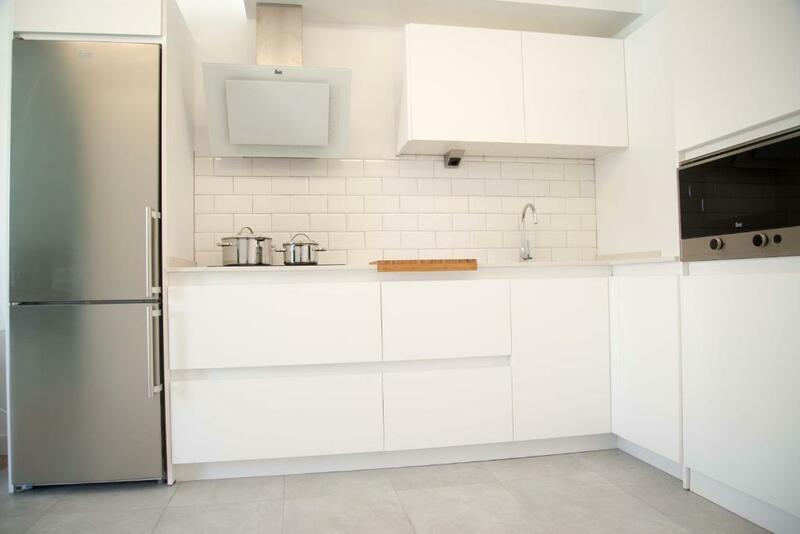 L'appartamento è completamente ristrutturato, piacevole e gradevole con reception, dà sicurezza. Ci sono comodi divani e smart tv nel caso di brutto tempo. La cucina è ben fornita di stoviglie e accessori vari. C'è pure una bella piscina. Sijainti oli hyvä. Rantaan ei pitkä matka, bussit eri kohteisiin lähtivät vierestä ja leipomo sekä kauppa samassa rakennuksessa. Asunto oli siisti ja kaikki tarvittavat välineet löytyivät. Apartamento muy cómodo, de estética agradable y equipado con todo lo que necesitas para pasar unos días de vacaciones. Las fotos que muestran son tal cual es. 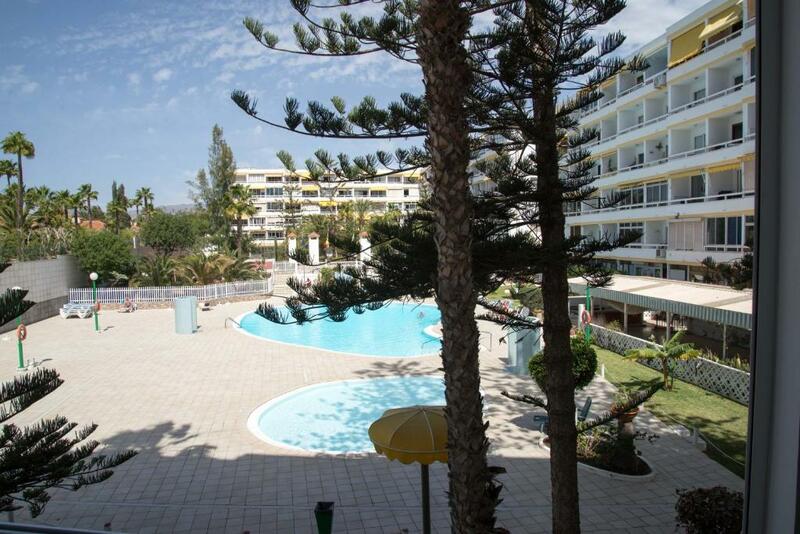 Lock in a great price for Lightbooking-Aloe Playa – rated 8.7 by recent guests! 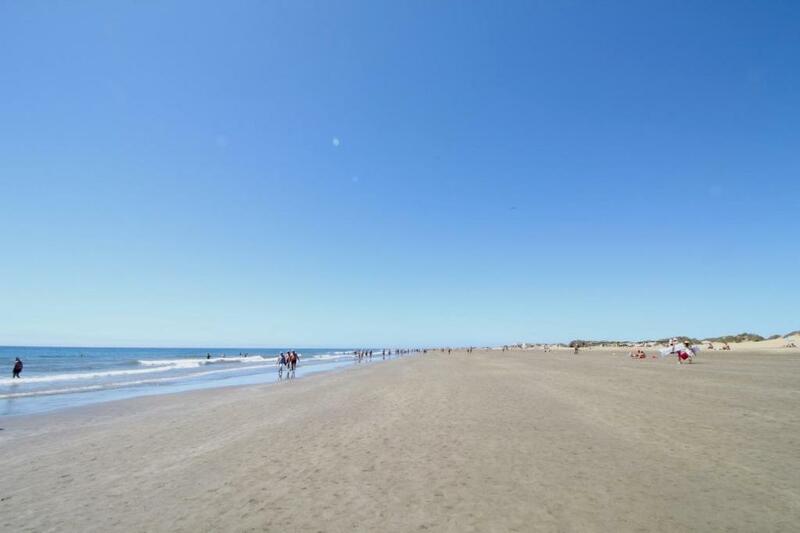 One of our top picks in Playa del Ingles.Located in Playa del Ingles, just a 15-minute walk from Yumbo Centrum, Lightbooking-Aloe Playa provides accommodations with free WiFi. The property has pool and garden views. 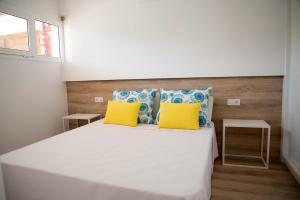 The apartment comes with 2 bedrooms, a fully equipped kitchen with an oven, and 1 bathroom with a shower and a hair dryer. A flat-screen TV with cable channels and a DVD player are featured. The apartment has an outdoor pool. 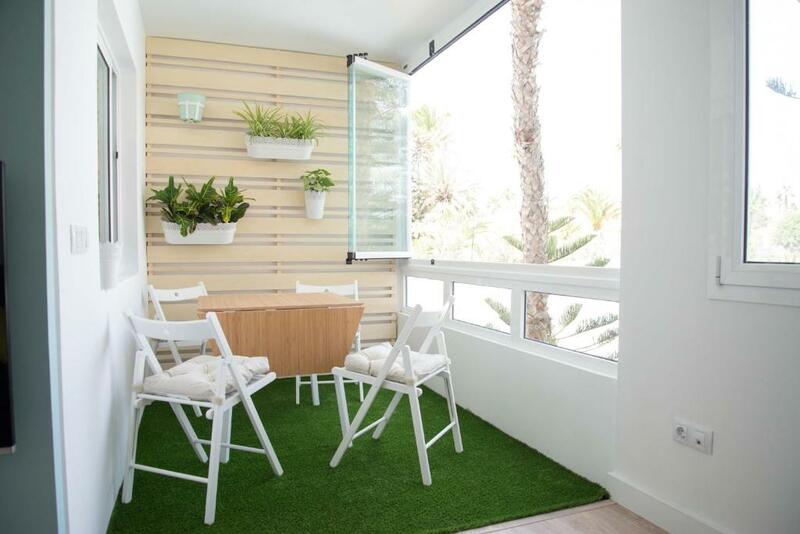 A terrace is available for guests to use at Lightbooking-Aloe Playa. Cita Centre is 600 feet from the accommodation. The nearest airport is Gran Canaria Airport, 20 miles from the property. When would you like to stay at Lightbooking-Aloe Playa? 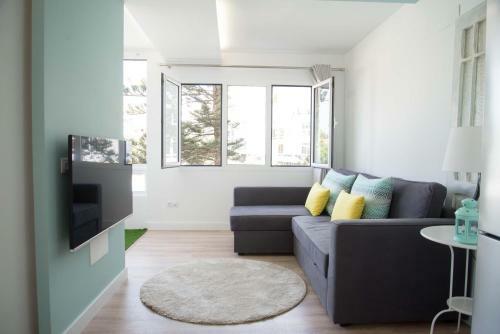 This is a very stylish and comfortable apartment in the heart of Playa del Inglés. 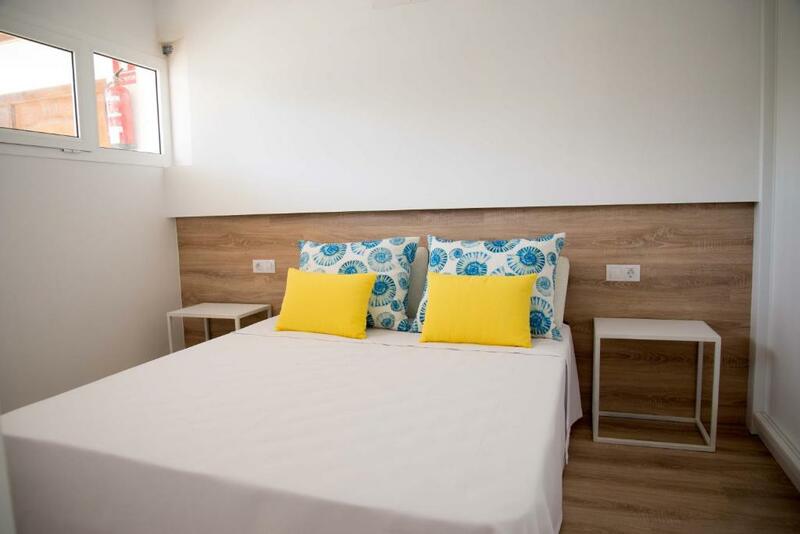 Very close to all necessary services, the best restaurants in the area and most important: at a short walking distance to Gran Canarias most famous beach, Playa del Inglés. It should be mentioned as well that the famous Yumbo Center is only an 8min walk away. Property Manager for Lightbooking Spain S.L. The neighborhood is vivacious, not only because of the proximity to the beach. There are three shopping centers in the surrounding area with many restaurants and entertainment areas. Due to its proximity, it is not essential to hire a car, but we recommend it, as the island has plenty of magical places to discover. 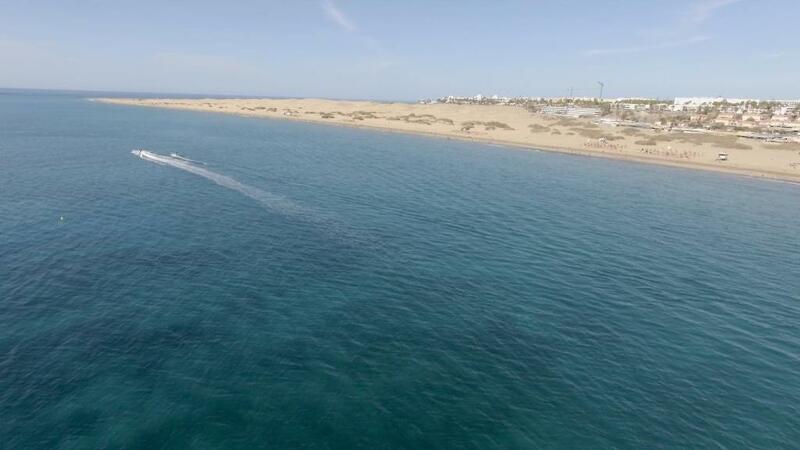 Lovers of outdoor activities such as hiking, climbing, cycling, all activities related to the sea, surfing, sky-surfing, parachuting to name a few, will be rewarded with fantastic weather throughout the year. In short, it is a place to unwind, relax and discover new emotions. House Rules Lightbooking-Aloe Playa takes special requests – add in the next step! Lightbooking-Aloe Playa accepts these cards and reserves the right to temporarily hold an amount prior to arrival. Difficulties to receive a second set of keys. It took several requests to get them eventually. There was no Check-in done by a person. I prefer to have a person giving the tour of the apartment to be able to explain the details and also answer directly the first questions. Recommendation: Place as a minimum a small information folder in the apartment to explain the TV set, WIFI and location of kitchen equipment. For us it was not obvious that one part of the kitchen cabinet, that looked like a cover, was in fact a door where the kitchen equipment like coffee machine (percolator), water kettle and toaster were stored. There is a strong light outside the apartment that shines directly into the bedroom and you have too choose between having a window open and getting some fresh air or having acceptable darkness for the night. Only one key delivered. It is not enough for 3-4 guests. The password delivered for the free wi-fi was wrong. We had to buy access to the internet. Only Spanish stations on the TV. Clean apartment and well equipped. Good location. There was no air conditioning in the apartment, instead there were 2 small and not efficient electric fans. We stayed there in October when it wasn't that hot and I cannot imagine staying in this apartment during hot summer season. Walk in shower was nicely done but unfortunately the drain was not coping with the water so it was mini flooding the bathroom duding the shower. For first 2 days we didn't have internet connection. We couldn't find the router to restart it because the router was hidden behind the wall. Even management company wasn't aware about this strange router location and only informed us about it after talking the the owner.